Assorted 8 Piece Set of Young Girl's Jewelry Only $15.99 Ships FREE! 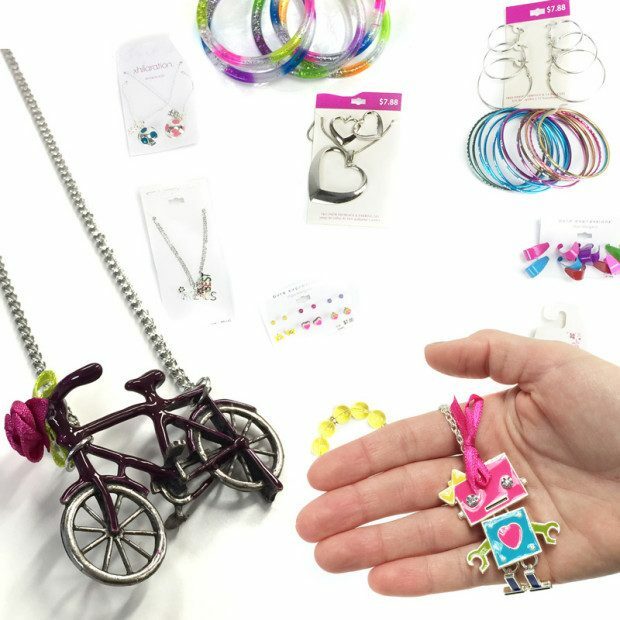 You are here: Home / Great Deals / Assorted 8 Piece Set of Young Girl’s Jewelry Only $15.99 Ships FREE! Assorted 8 Piece Set of Young Girl’s Jewelry Only $15.99 Ships FREE! Get the Assorted 8 Piece Set of Young Girl’s Jewelry for Only $15.99 Plus it Ships FREE! This is a great item to stash for the holidays! This jewelry assortment includes an 8 piece mix of fun and trendy necklaces, bracelets and jewelry from a number of different designers. In each order you will receive 8 unique pieces of jewelry for young girls of which just a small sampling is pictured!